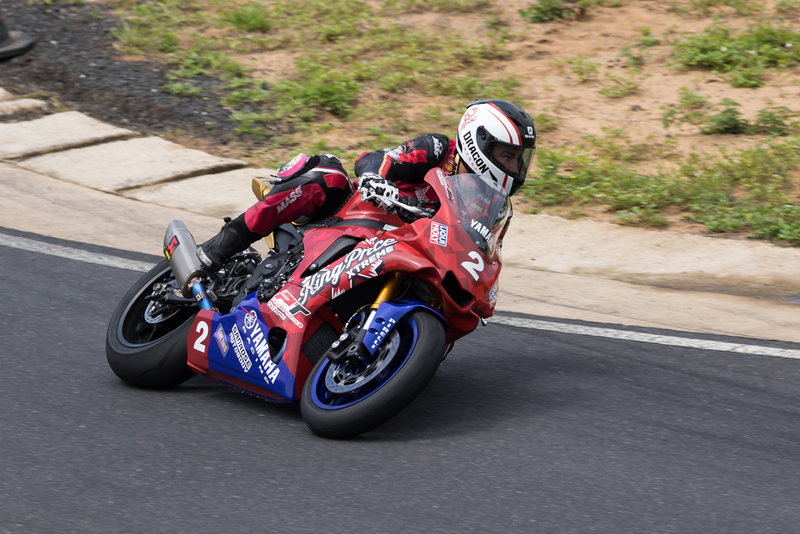 The Zwartkops Raceway near Pretoria will host round two of the 2019 Extreme Festival this Saturday (April 6), with seven of the country’s premier circuit racing categories to participate. 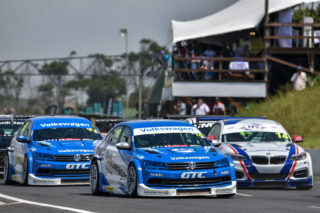 Officially, the programme will be headed up by two races for Global Touring Cars, with top contenders to include Simon Moss (Audi A3), Daniel Rowe (VW Motorsport Jetta), Keagan Masters (VW Motorsport Jetta), Johan Fourie (EPS Couriers BMW), Robert Wolk (Chemical Logistics BMW), and Tschops Sipuka ((Audi A3). Bradley Liebenberg (VW Motorsport Golf GTI), Charl Smalberger (Universal Health Golf GTI), Adrian Woods (Kyocera Golf GTI) and Paul Hill (Kalex Golf GTI) will contest the GTC2 category. Topping the day in terms of spectacle should be two races for G&H Transport Extreme Supercars, with 20 exotic cars on the grid. The man to beat must be Charl Arangies in his Stradale Aston Martin Vantage V12, facing off against people like Gianni Giannoccaro (G&H Transport Lamborghini Gallardo), Franco Scribante (Porsche 997 Turbo), Jonathan du Toit (TAR Ferrari F430), Simon Murray (Trinity Lamborghini GT3), Mark du Toit (TAR Ferrari F430), Franco di Matteo (Deltec Batteries Afa GT) and Darren Winterboer (Barons BMW M3). 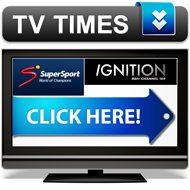 Others to watch must include Ben Morgenrood (Lexus Sedan), Greg Parton (Drizit Lamborghini Huracan), Ant Blunden (SAJCO Porsche 997 GT3), Kishoor Pitamber (Siris Ferrari 360), Nicky Dicks (Stradale Porsche 997 GT3) and Ricky Giannoccaro (G&H Transport Lamborghini Gallardo). The day’s closest racing should be provided by the Falken Polo Cup brigade, with front runners to include reigning champion Jeffrey Kruger (Universal Health Polo), Keegan Campos (Campos Transport Polo), Jonathan Mogotsi (VW Motorsport Polo), Matt Shorter (Monroe Polo), Stiaan Kriel (MotorMart Polo), Jason Campos (Turn 1 Polo), Delon Thompson (CompCare Polo), Clinton Bezuidenhout (Glyco Engine Polo) and Chris Shorter (AE Engine Polo). 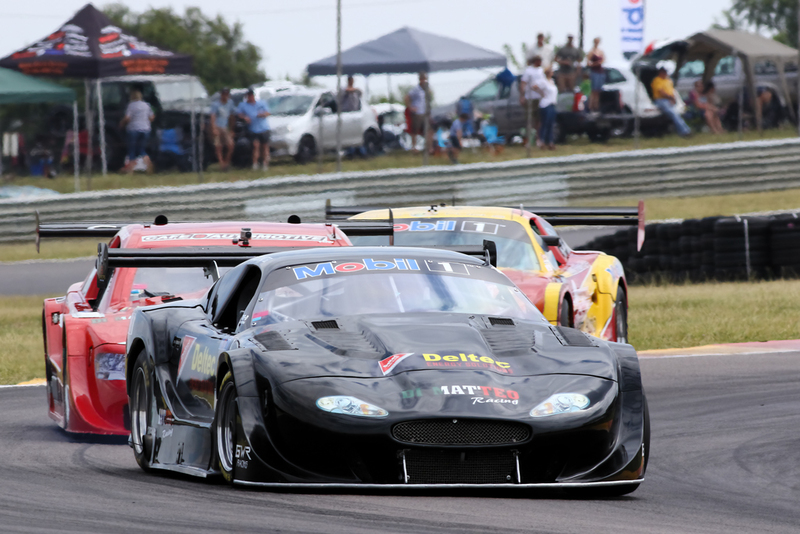 Mackie Adlem (Adlem Auto Jaguar XKR) will top the Mobil 1 V8 Supercar entry list, with his closest adversaries to include Franco di Matteo (Deltec Batteries Jaguar), Terry Wilford (Fuchs Ford), Thomas Reib (Cafe 9 Chev Lumina), JP Nortje (N4 Auto Corvette), Ben Morgenrood (Morgenrood Ford Mustang), Antonie Marx (Xado Jaguar), David Coetzee (ELKSA Ford Falcon), Izak Spies (LSP Group Mustang) and Schalk Compaan (Hurricane Automotive Ford Falcon). Nicholas van Weely (Magnificant Paints Van Diemen) should be the men to beat in the Investchem F1600 races, challenged by people like Scott Temple (Road to Race Mygale), Andrew Rackstraw (Investchem Mygale), Alex Vos (Equrie Zoo Van Diemen), Alexande Gillespie (ERP Trucking Mygale), Tiago Rebelo (TRMS Mygale) and Siyabonga Mankonkwana (Investchem Mygale). Two-wheeler enthusiasts can look forward to national championship racing, topped by two races for 1000cc Superbikes. Clinton Seller (King Price Yamaha R1) and David MacFadden (Yamaha R1) should continue the massive duel they fought at the season-opening Dezzi Raceway event last month. 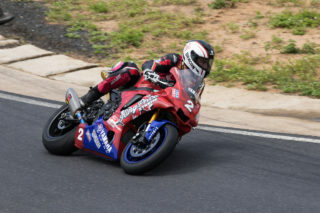 Others who could interfere should be Lance Isaacs (Supabets BMW RR1000), Nicolas Grobler (Adrenalin Powersport Yamaha R1), Dylan Barnard (NPL BMW RR1000), Morne Geldenhuys (Race Craft Yamaha R1) and Byron Bester (Hi-Tech Yamaha R1). Blaze Baker (King Price Yamaha R6) must start as victory favourite in the Supersport 600 races, chased by riders like Jared Schultz (ASAP Yamaha YZF 600), Taric van der Merwe (Hi-Tech Yamaha R6), Ricardo Otto (Otto Yamaha YZF 600), Brandon Staffen (AJH Cooling Kawasaki ZX6). 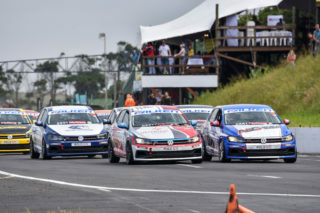 Racing apart, the Zwartkops Raceway will offer a Kiddies’ Corner, live musical entertainment, a flea market, a beer garden and various motoring displays. The gates will open at 7am, with qualifying sessions to start at 8am. Racing will commence at 10.40am. Admission will cost R120 per adult and R90 per student, with kids under the age of 12 going in for free. Everybody is invited to visit the pits on foot at any time, and the circuit’s Mini Moke trains will run between the pit gates and the various grandstands throughout the day. You are also more than welcome to take your braai and own refreshments. 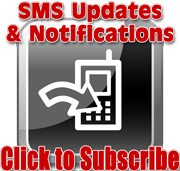 For more information, call the Zwartkops Raceway at 012 384 2299 or visit the www.zwartkops.co.za website.